Chestnuts are a popular treat during the fall & cooler seasons around the world. They are commonly eaten steamed or roasted and can be included as a snack during Winter or incorporated into a baked dish or meal. The flesh provides a sweet and nutty flavour. Chestnuts have been on our frequently asked food list for a while now. One serve of chestnuts (20 per sitting) is low in FODMAPs and should be tolerated by most individuals. 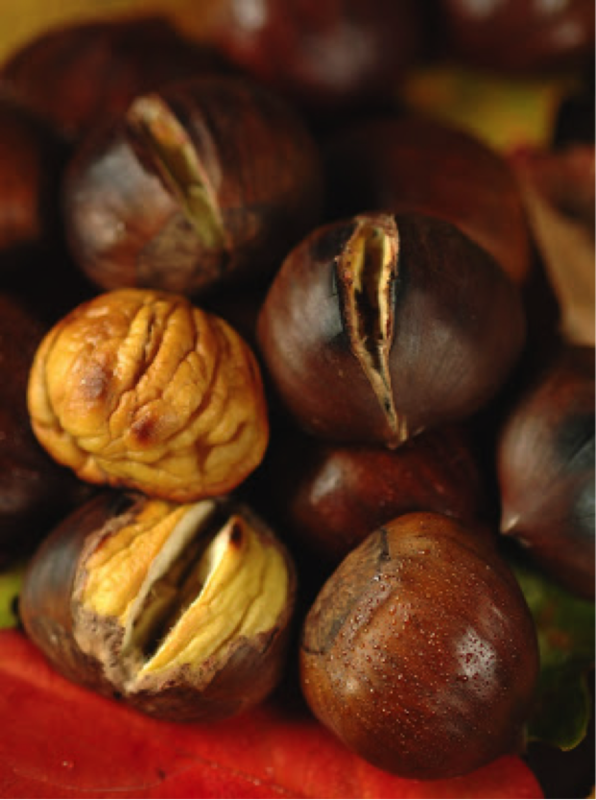 However, excess consumption of chestnuts, 25 chestnuts or more, has a moderate FODMAP rating (from oligosaccharides – GOS) and should be limited.